The final journey of the boxing legend, Muhammad Ali, will be witnessed by worldwide audience of billions making it one of the biggest events in TV history. The three-time world heavyweight champion’s funeral will take place in his home town of Louisville, Kentucky, on Friday, where flags have been flying at half-mast since his death was announced. 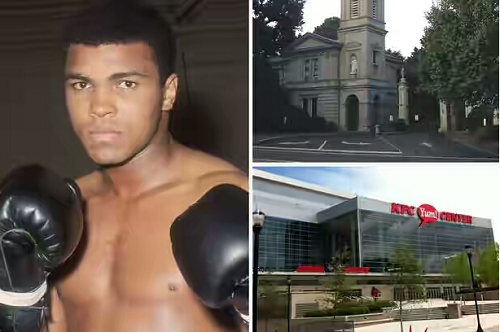 The procession will pass the Muhammad Ali Centre, travel along Muhammad Ali Boulevard and through his former neighbourhood. It will then end at Cave Hill cemetary for a private family ceremony.